Sunshine Coast weddings are forever changing, with such diversity of locations and varied landscapes, each wedding can take on a very individual and uniquely styled atmosphere. 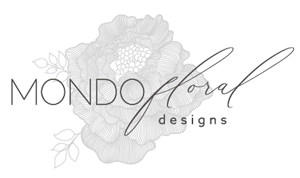 One of our prime objectives here at Mondo Floral Designs, especially from a creative perspective is to be able to inspire you, and to design wedding flowers in individual and interesting ways. Flowers and wedding styling go hand and hand, and we are very fortunate to be able to collaborate with some pretty amazing and talented colleagues in the biz! The Sunshine Coast is spoilt for choice with uber amazing backdrops to create pretty wedding spaces within. So we have featured some of our much loved creative collaborations, these styled shoots feature so many different wedding ideas, and as you will see when considering a Sunshine Coast wedding, the floral and styling choices are endless, an abundance of ideas and options are right here, to inspire an utterly breath taking and unique Sunshine Coast wedding celebration.